Here’s what’s happening in the world of television for Thursday, October 19. All times are Eastern; there’s nothing but sincerity as far as the eye can see. 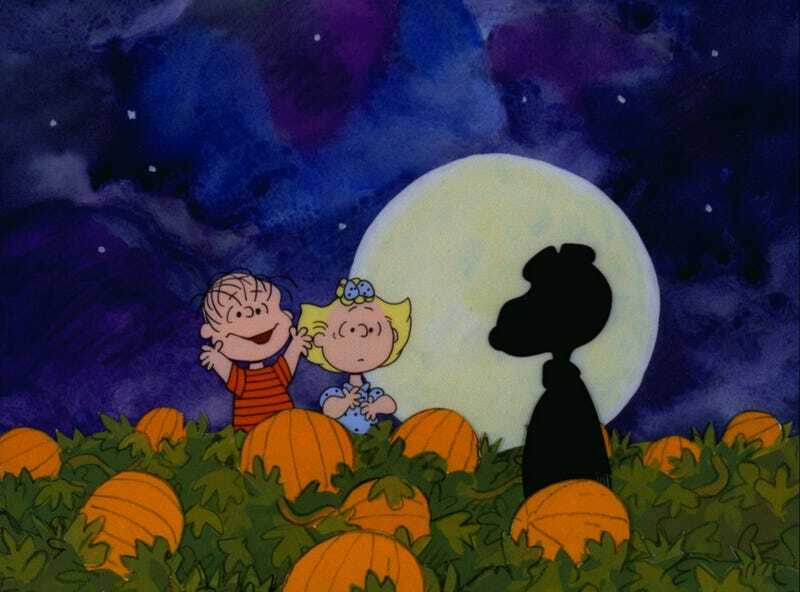 It’s The Great Pumpkin, Charlie Brown (ABC, 8 p.m.): Dear It’s The Great Pumpkin, Charlie Brown: We are looking forward to your arrival on Thursday night. We hope you will bring us lots of presents, like the football gag, Charlie Brown saying “I got a rock,” the World War I flying ace in combat with the Red Baron, and that part when Linus cries “You didn’t tell me you were gonna kill it!” You must get discouraged because more people believe in A Charlie Brown Christmas than in you. Well, let’s face it: A Charlie Brown Christmas has had more publicity. But being number two, perhaps you try harder. Everyone tells us you are a fake—with your visuals scrubbed clean and your soundtrack remastered and your sequencing and your sponsor identifications so bluntly lopped off your opening titles—but we believe in you. P.S. If you really are a fake, don’t tell us. We don’t want to know. Also, we know you aren’t, because we’ll be watching you tonight. Toy Story Of Terror (ABC, 8:30 p.m.): It’s not as funny-pages simpatico as CBS’s old Garfield specials, and it doesn’t adapt a series of picture-book classics like Dr. Seuss On The Loose, but this Halloweentime adventure with the Toy Story gang is carving out a nice niche for itself as a contemporary Great Pumpkin companion on The Great Pumpkin’s contemporary, Disney-owned home. Just keep an eye on your friends as you watch, and be on the lookout for suspicious iguanas. Bum bum bum! "I got recommended stories!" "I got classics from The A.V. Club archives!" "I got a rock."